When I was in Boston recently, I had the chance to meet up with my very first PhD mentor from the very first lab I worked in. Back then I was scared, inexperienced, shy, and Catherine made it so easy to get started. She made science cool, and no doubt is a big reason why I am still in science now. Not only that, but she was instrumental in getting my first TWO peer reviewed publications. And although I now realize that I did a lot of the repetitive work that she didn’t want to do, I will always appreciate every minute of it. It shaped me as a person and as a scientist. There are some memories that I will have forever from that time. Our daily walk to Tim Horton’s in the morning. Talking about yoga and sometimes demonstrating poses. And eating spicy beans. These things were brought by another co-worker, and they were dangerous. We must have demolished at least one bag of spicy broad beans a day. 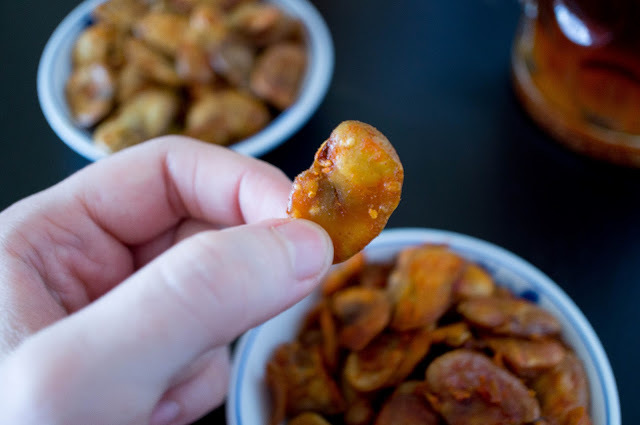 So when I showed Catherine my food blog and she asked me to post some recipes for vegetarian snacks, I decided recreating the spicy broad beans was perfect. 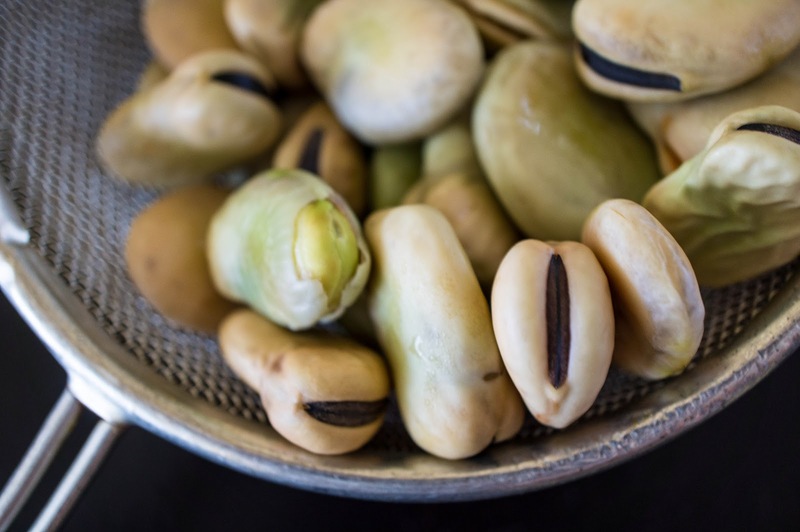 In case you’re not familiar with broad beans, they are also known as fava beans. Broad beans are soaked, boiled, and either roasted in the oven or shallow fried. Both options are good. I personally prefer the fried beans as they are more similar to the ones I remember, but the baked option is nothing to sneeze at. Beans are then covered in the spice of your choice, as much or as little heat as you want! 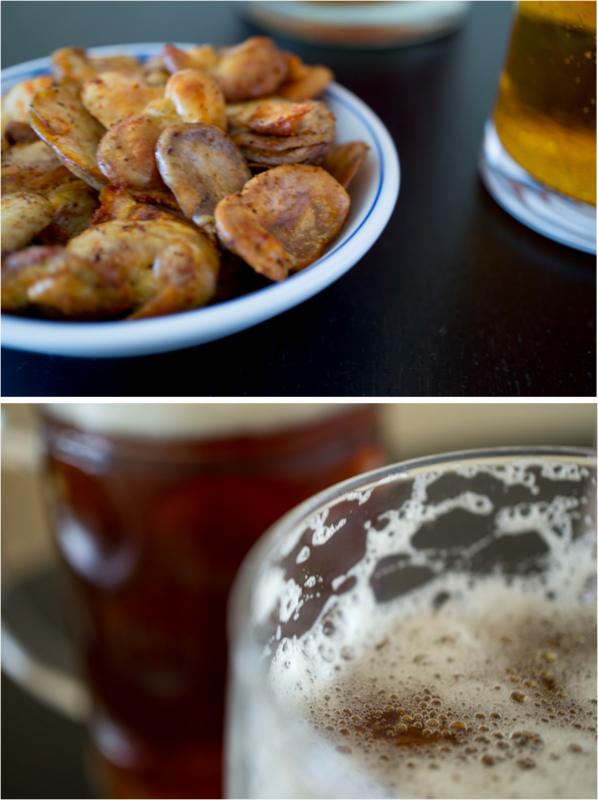 Enjoy with a cold beer on a patio or watching the game... or on a break from running IR or XRD. These are for you Catherine, cheers! Soak beans in lots of cold water overnight. The next day, rinse the beans well and cover with water in a large pot. Bring to a boil and boil for about 7 minutes or until beans can be pierced with a fork, but are not mushy. Drain and cool. Now if your beans are not peeled, peel and split them. I find the easiest way is to take a small knife and cut along one side of the beans starting at the black edge. Then peel away the shell with your fingers. The bean should almost naturally split apart down the middle. You could theoretically leave the shells on, but I found they really didn’t get crispy upon roasting. Try to dry the bean halves as well as you can on some paper towels. The drier they are, the crispier they will get. Preheat the oven to 350F. Toss the beans in some olive oil, salt, and whatever spices you want. Spread out on a lined baking sheet and baked for about 30-35 minutes. If they don’t seem crispy, mix them around a bit and put back in at 5 minute intervals until they seem crispy. Let cool and enjoy! Heat about 1/2 inch of oil in a large skillet until a drop of water immediately sizzles and splashes if you flick it in. Pour in beans and fry, stirring around occasionally until golden brown and crispy (about 10 minutes). Remove from the pan with a slotted spoon into a clean bowl. Immediately toss with salt and desired spices. Let cool and enjoy! The short answer is that I've never tried it so I don't know. Long answer if you wanted to try it: I would try tossing them in some oil and salt and then microwaving in a single layer on a microwave safe plate for 3 minutes on high. Toss them around a bit, see how they feel and continue microwaving for 3 minutes at a time until they seem crispy. Let me know if you decide to try it! In my experience, microwaving doesn't ever seem to make anything crispy. Its effects are more comparable to steaming, which is the opposite of roasting. Thanks for your insight Brian! Actually, I've made crispy cheese crackers and crisped up herbs in the microwave before, so it works for some things! Though I think it dries things out more than deep frying, for example. Lovely post. I am eating them now. You are a great scientist and I really enjoyed working with you. Its a great post and now I wont to try it! 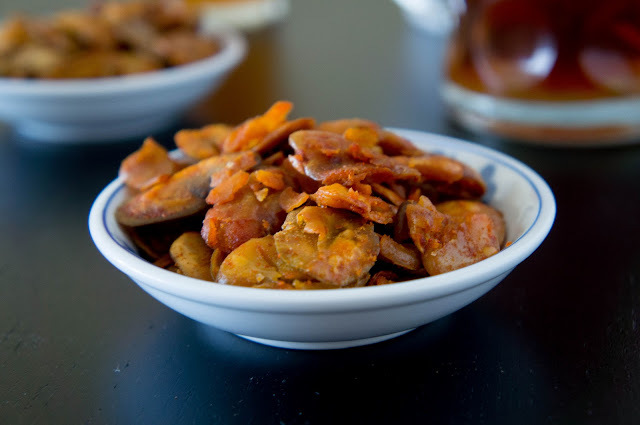 Can You tell me is it possible to make the recipe with fresh beans? Thanks Nikola! Sure you can use fresh beans. They would just be cooked for a shorter amount of time than the dried ones. Let me know how it goes! I'm glad it worked out! I'm not sure about the colour. Maybe it's the dry vs fresh thing. Maybe I fried them longer! Boiled, then in an air fryer with Old Bay. I found my new snack!! @quo vadimus, I am trying to airfry them myself, but have not yet found the right heat. What degree do you put your airfryer on and how many minutes do you fry them?